Microsoft System Center Data Protection Manager (DPM) 2010 is a management product that provides data protection for Windows systems. More advanced than Windows Backup, DPM uses Protection Agents that provide advanced capabilities. Getting the DPM server to communicate with the Protection Agent installed on a Forefront TMG 2010 firewall can be challenging, however. DPM server-to-agent communication takes place over several non-standard ports, and it also relies on DCOM. Unfortunately the Forefront TMG RPC filter does not fully support DCOM , so we’ll need to employ a workaround to ensure that DPM communication works correctly. 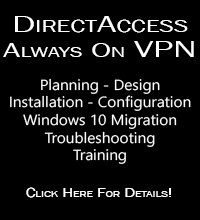 Create a Computer or a Computer Set network object that includes the IP address of your DPM server. 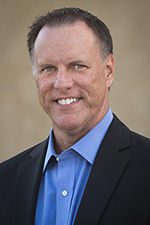 DO NOT add the DPM server to the Enterprise Remote Management Computers or Remote Management Computers network objects. Next, create an access rule called DPM [Inbound]. The action will be allow and the protocols will include the three new protocols you just created, along with Microsoft CIFS (TCP) and RPC (all interfaces). The source will be the DPM server and the destination will be Local Host for all users. Now right-click on the access rule and choose Configure RPC protocol. 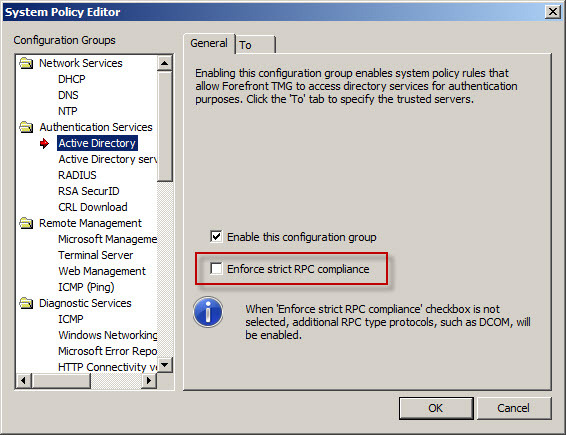 Uncheck the box next to Enforce strict RPC compliance and choose Ok.
Next, right-click the Firewall Policy node in the TMG management console navigation tree and select All Tasks | System Policy | Edit System Policy. 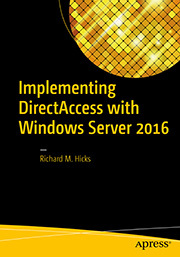 Under the Authentication Services configuration group highlight Active Directory. Select the General tab and uncheck the box next to Enforce strict RPC compliance. The last step required to allow the DPM server to communicate with a Protection Agent installed on the TMG firewall involves making registry changes to restrict RPC communication to a specific range of ports. This is necessary because, as I mentioned earlier, the TMG RPC filter does not fully support DCOM and is unable to manage the dynamic port assignments required for this communication. This change must be made to both the TMG firewall and the DPM server. To make this change, open the registry editor on each system and navigate to the HKLM\Software\Microsoft\Rpc\Internet key. You can download a .reg file and the TMG access policies here. Note: For this limited demonstration I have chosen to restrict the dynamic port range to 50 ports. In a real production environment, you may need to increase this limit. An excellent reference article that includes a formula to determine the number of ports required can be found here. Once the registry changes have been made, the system will have to be restarted for the changes to take effect. After both systems are back online, install the Protection Agent manually on the TMG firewall and then attach the agent in the DPM management console. You can now manage TMG firewall protection in DPM just as you would any other Windows system. Thanks very much. Very useful article. I would like to point out that the registry key is wrong though. Thanks for bringing that to my attention! I’ve updated the post accordingly (the downloadable registry file was correct though). Hello Richard, first of all I would like to say thanks for posting the guide and so many useful information. I followed the guide and registry modifications in order to allow my DPM server to attach the already installed DPM agent on my TMG. Server shows up in domain, no problems, fully updated and all. I’m stuck here. Any ideas ? I’ve done this a few times without issue, so it should work. Double-check and make certain you’ve completed all of the steps. The RPC compliance setting on TMG is key. If you’re confident you have everything right, check the TMG logs to see if anything is being denied by policy. Thanks sir . . After reading your blog i m able to protect TMG via DPM. Question 1: Are there reasons why the dynamic ports range is set to start at 50000? Question 2: Are there reasons why the dynamic ports range is set to end at 50050 (50 ports)? Start with (minimum of 100 + (number PS * 10)) PS = Protected Servers. A DPM server protecting 10 servers needs 200 ports at a minimum. Note that all protected servers are included in the port calculation, not just the ones on the other side of the firewall. This configuration limits the ports for all dynamic RPC traffic on the DPM server. Question 3: Why did he suggest to start at 50100 and not say 50000? Question 4: Is there merit in choosing the range based on his calculation? #1: No, but this is the generally accepted range of ephemeral (high) ports that is typically not in use by other applications. #2: I chose to limit the dynamic port range for my test at 50 out of convenience. It certainly worked for my environment, but I certainly understand J.C.’s reasoning for having more ports open to support additional protected servers. #3: Again, this is just a preference, but based on generally accepted best practices for ephemeral port reservations for RPC. #4: Without question. J.C.’s article is an excellent reference…thanks for bringing that to my attention. I’ll be updating the post and using that as a reference. Many thanks for getting back to me. Your article was very insightful and was able to assist me by configuring out TMG server to work with DPM. helped me a lot.!! much appreciated .